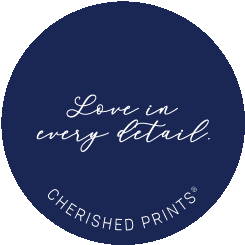 Cherished Prints’ mission is to help the grieving celebrate their loved ones through service excellence and compassion. All stationery is made to order with care and dedication by a professional graphic designer. Cherished Prints restores faded, torn, and sun damaged photos, remove backgrounds and turn photos black and white that can be added your stationery purchase. 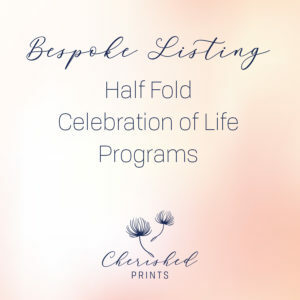 Cherished Prints is an online boutique specializing in made-to-order and bespoke funeral and memorial stationery. 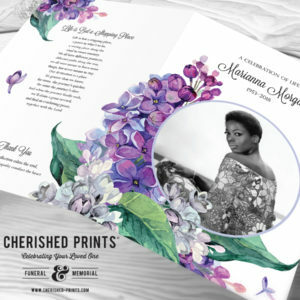 The Cherished Prints collection includes beautifully designed Programs, Prayer Cards, Bookmarks, Invitations, Announcements, Memory Cards, Attendance Cards, Thank You Cards, and Mourning Cards that can be personalized with photographs, personal messages, readings, hymns and poems. 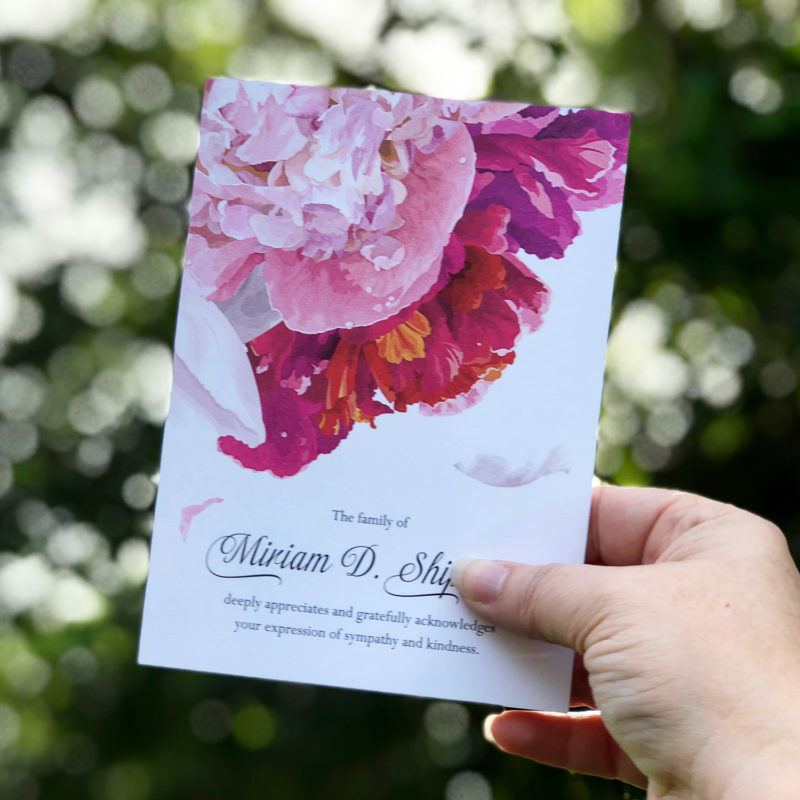 Since inception in 2012, Cherished Prints hopes to transform consumer expectations of funeral and memorial stationery by providing premium customer service, guidance and designs. Each stationery order is designed based off an existing design you have preselected. 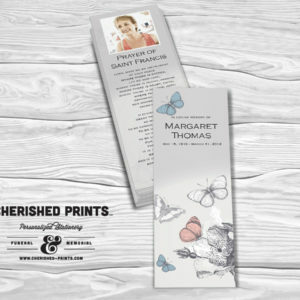 Cherished Prints will edit and customize the design to best suit your content and preferences. Every single order is a unique and uplifting reflection of your loved one. You can choose to have Cherished Prints print and ship the stationery or you can print or have the stationery printed locally. Selected your preferred design listing, fill out the “Personalize Your Order” fields, and add the listing to your cart. During the checkout process, you can upload your photos, specify your in hand date, and pick your shipping preferences. 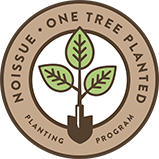 Once Cherished Prints has your order and listing information, our professional graphic designer will customize the art with care and precision. You should receive a draft in your email within 24 hours (RUSH orders available upon request) to review and provide feedback/revisions. 2 rounds of revisions are included with every order. Once you’ve approved the art, Cherished Prints will send the final print-ready art in PDF format with and without bleed and crop marks OR we’ll send the art to print production. All orders are mailed/shipped with a tracking number. FREE USPS Priority Mail (2-3 days) on all PRINT orders. To help the grieving celebrate their loved ones through service excellence and compassion. We’d like to help tell the story of your loved one’s life. Your experience with us is about finding a design that speaks to the memory of the person whose life you’re celebrating and our job is to make it simple for you by taking you through it step by step and handling the details and logistics. Each celebration of life order is made to order with the highest level of care and dedication. The process is as hands-on or hands-off as you need it to be–just ask for help if you need it. The very best website out there in my opinion for design options. Was so fast, easy and simple. Had so many compliments and our whole family was so happy with the final product.